How do I keep up with all of these donation requests? How do I decide which cause is right for my business? What if I don’t have enough resources to donate? What’s my system of prioritization with local charities/organizational requests? How does my business’ current value system match with my donation requests? What are some ways I can donate other than a check? I wanted to take this time to address these questions, along with providing some insight into the importance of small-to-medium sized businesses giving back to the community. 1. Your business should be doing something to give back to the community, in some form or fashion. Beyond the tax benefits and “good will” you build with your customer base, it’s simply the right thing to do. This doesn’t mean that everyone has to cut a check and be done with it – there’s more to it than that. 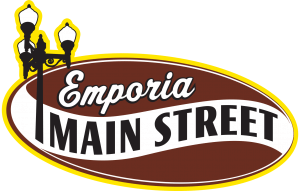 As part of Emporia Main Street’s philosophy, we’re always looking for a value-added benefit when approaching people or businesses and asking them for goods, services, or time. We know it’s important that the relationship be reciprocal in nature; it’s the true definition of “win-win.” In turn, both parties receive value for whatever the transaction may be. This same approach can be taken by your business. 2. Your business’ values should be reflected in your giving methods, medium, and destination. This seems like a no-brainer, but it can get tricky when you’re bombarded with requests, especially around the holidays. In other words, how you give is just as important as what you give. There’s an odd sense of cognitive disconnect when a business starts dabbling in an area that isn’t specific to them or their value system – it’d be weird seeing Mulready’s Pub do raffle drawings for a Miller-Coors event in Golden, CO, just as it’d be strange to see Walmart doing small business workshops. Stick to your value system, and find ways to make it applicable to your giving strategy. 3. It’s perfectly fine to say “no thank you” to a donation request. When businesses are inundated as they are with requests, it’s hard (especially from a financial standpoint) to do everything for everyone, especially those that don’t align with your business’ core values. While it may seem disappointing to not be able to fulfill a request, it’s absolutely acceptable. 4. Find ways – other than monetary – to give back. As small-to-medium sized business owners, you know all too well that money is tight. Fortunately, there are a variety of ways that you can do good for the community without having to whip out the checkbook. While doing some research on this topic, I came across an interesting concept from Odell Brewing Company, a premier craft brewery in Fort Collins, CO. They often do company volunteer outings (involving much of the staff) where they do service projects – the unique thing about their approach is that they invite their customers to join them in the project, putting the business’ value system front and center. In addition to Odell’s brand on the shelf, now customers have the opportunity to see the why behind the company. Believe it or not, your business expertise is in high demand in the community! Offering your unique skill set for charity work is a great way to get involved and provide valuable service. This is essentially a donation of time (and talent), which helps when money is in short supply. Marketing via word of mouth is incredibly valuable, and this sort of donation will give you an ample amount of just that! Be a business that supports employee volunteerism. Many businesses, as a way to attract talent, allow their employees to take a small amount of paid time off to volunteer for a local cause of their choice. If not as a collective effort, this is an incredible gesture to get your employees involved in the community in their own unique way. It also serves as differentiation when you’re trying to get people to join your business as employees – and stay there. If you can’t find a local cause that your business can get behind, create your own! It’s completely understandable to peruse the local charity landscape and not find something that fits your business’ value system. Don’t be afraid to get creative! This business owner in New Hampshire set up her own 501(c)3 when she couldn’t find the perfect match! 5. Don’t not do something after you’ve set the standard. People are creatures of habit. The good will that you may have earned while doing great things for the community can come tumbling down if the action ceases. There are times when it’s hard to “do enough,” I get that. Given the options detailed in point #4, there are multiple ways of getting your name out there and giving back that aren’t exclusively financial. You know giving and/or donating time is important. You know the importance of how you give, not just what you give. Now the only thing left to do is to come up with an effective strategy and DO it! 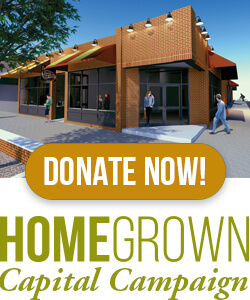 Emporia is a very caring community with many great local businesses contributing greatly to hundreds of special causes. Make sure your business is in the fold – with purpose! Enjoy this article? Read about this and MUCH more in this week’s Emporia Main Street E-Newsletter!